Aside from who gets the kids, one of the biggest questions in any divorce is, who gets to keep the family home? The family home is likely the greatest asset a couple owns together, and it is likely the one asset both parties put their heart and soul into creating and maintaining. Because of this, it is never easy for either party to just let it go. However, unless a couple plans to live together post-divorce (which defeats the purpose of divorce), one or both parties must choose to relinquish it. So, how do you decide which party should cut the cord? That depends on your goals for the home, your family, and your separate futures. If you and your spouse have kids together, you may be like most parents and wish to keep the kids in the family home. If this is the case, you may agree to let one of you stay in the home and have a contract that states that when the kids move out, you will both sell the home and split the equity. However, if you agree to this, you need to be wary of the stipulations, especially if you are the one to remain in the home. Many individuals who keep the home find that they are house rich and cash poor post-divorce. You can prevent this from happening to you by negotiating for alimony and child support, and by trading agreeing to let your ex take some of your other shared valuable assets. This can offset the value of the home so that the judge is more likely to award you more alimony. If neither you nor your spouse plans to stay in the home long, children or not, it would be in both your best interests to sell now. The cost of selling a home is significant, as you have to give commission to the real estate agent as well as pay for the cost of repairs and other updates to make the home more sellable. Say, for instance, that you put $50,000 into updating and marketing your home and your home sells for $300,000. If you and your spouse sold the home together, you would each pay $25,000 into selling the home and split the profit. However, if you took the home in the divorce then sold it later on, you alone would be responsible for the $50,000 bill, and you would still have to split the profits with your ex. You can save yourself $25,000 by agreeing to sell before the divorce is final. If you and your spouse get along, and if you have children, you may want to consider nesting. If you agree to do this, the kids would live in the house full time. You and your ex, however, would take turns living there. When it is one parent’s turn to live in the house, the other lives in an apartment or another home, the cost of which both parents split. Though the experts agree that this is not the best long-term strategy, it is a good strategy that will allow one or both parents to get their bearings and to figure out what comes next. 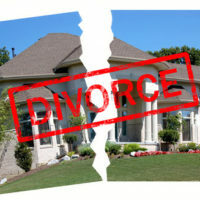 If you and your spouse plan to divorce, the best thing you can do for your emotional and financial well-being is to discuss all property division options with an experienced Boca Raton property division lawyer. The lawyers at the Law Offices of David L. Hirschberg, P.A. are prepared to help you through this difficult time and devise a solution that works best for everyone. Contact our law firm today to get started.